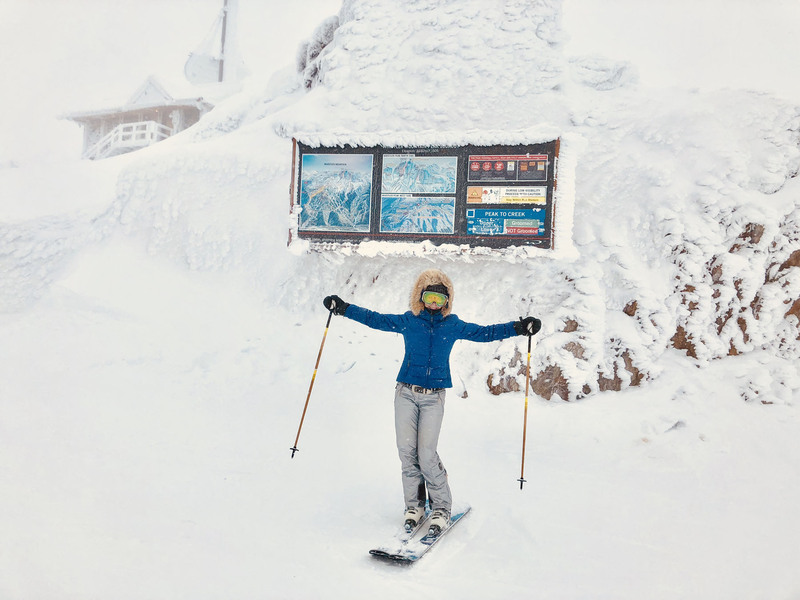 8,170 acres on 200+ Trails, 37 Lifts, 3 glaciers, 500″ snow annually. 2 hours north of Vancouver, 4 from Seattle. 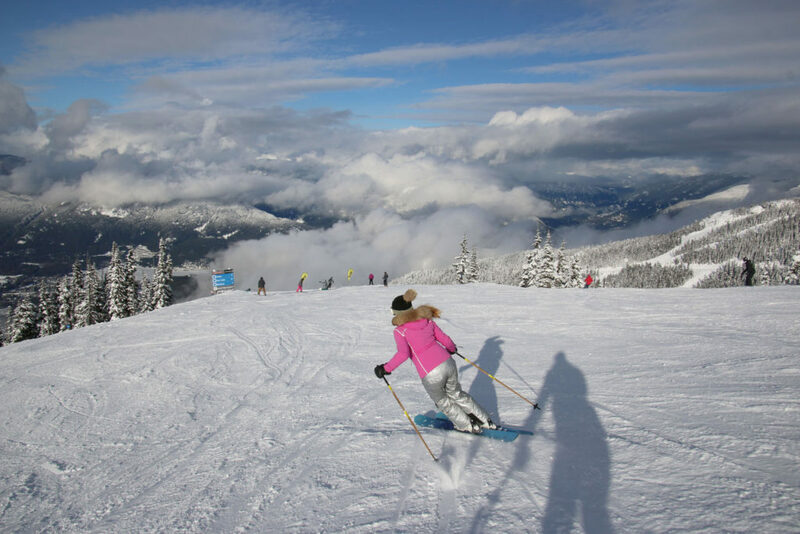 Skiing Whistler is like skiing the Alps, or the closest you will find on this continent. 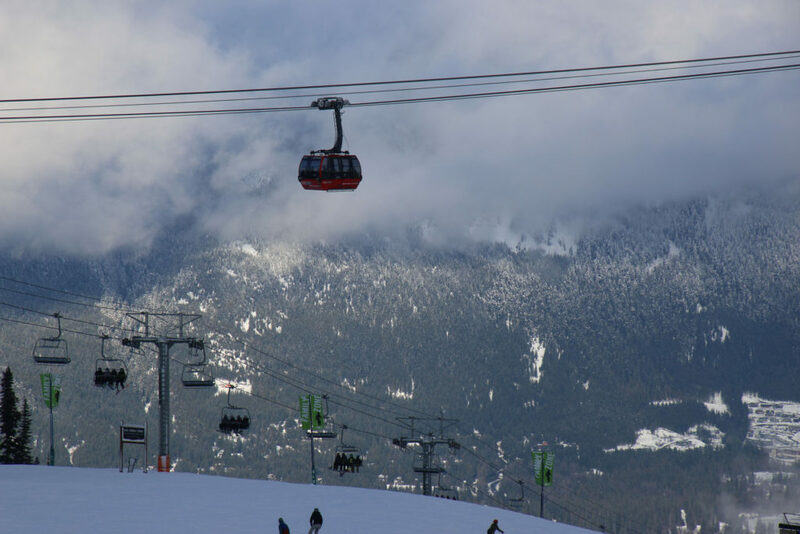 Whistler Blackcomb is the biggest ski resort in North America, its huge and happens to resemble those sprawling multi-mountain resorts of Austria, France and Switzerland. 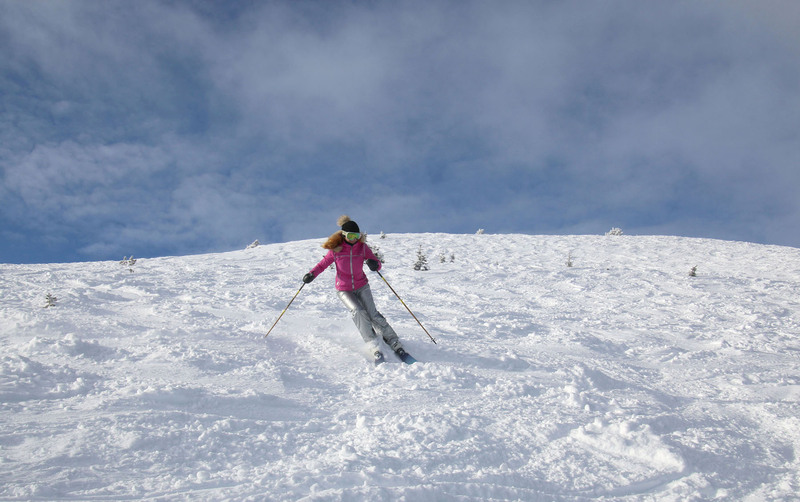 Riding 3 consecutive lifts of 2,000’ vert each, you get epic long runs like that of Zermatt. Big opens bowls, all above tree line, resembling Verbier Switzerland. The steeps of Whistler and Blackcomb are legendary, vast with serious vertical pitch. 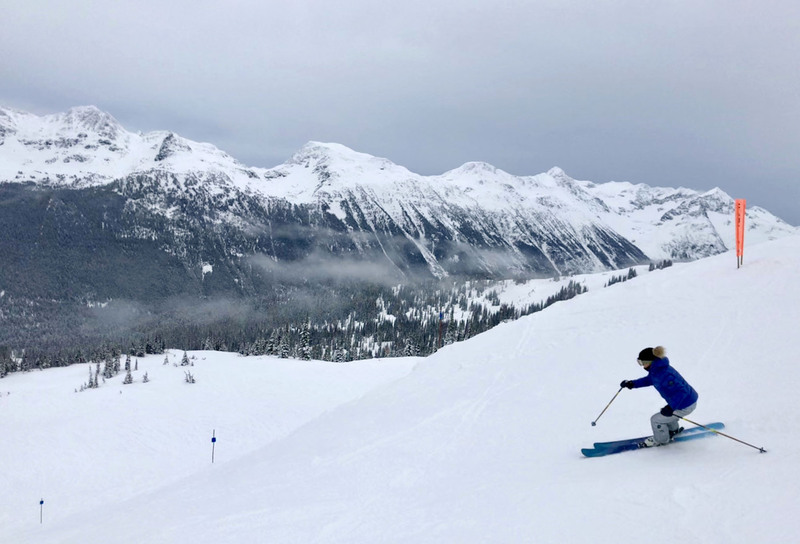 Saudan Couloir is a 42% angle, named for extreme skier Sylvain Saudan, its steep as can be, and that’s just one example of the dozens of “scare yourself silly” chutes peppered all over the summit of Blackcomb and Whistler. 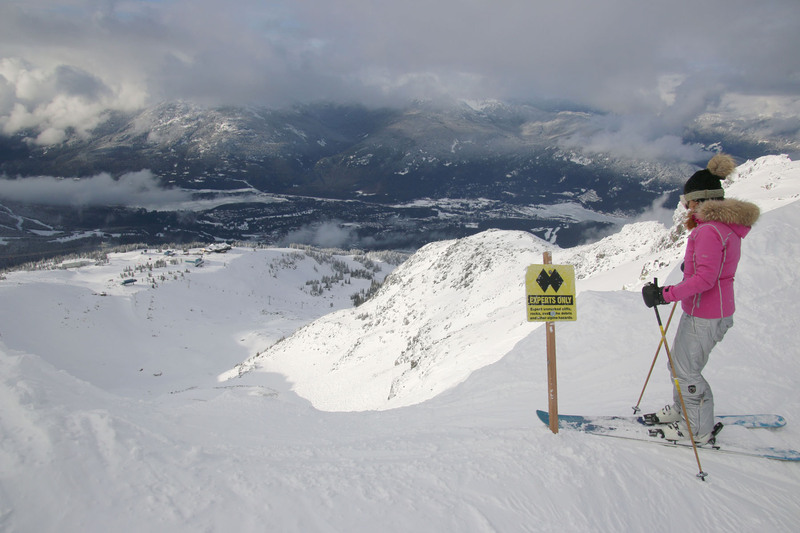 Drop in or opt out, but you wont be saying the word “boring” or whistling ho hum at Whistler Blackcomb. 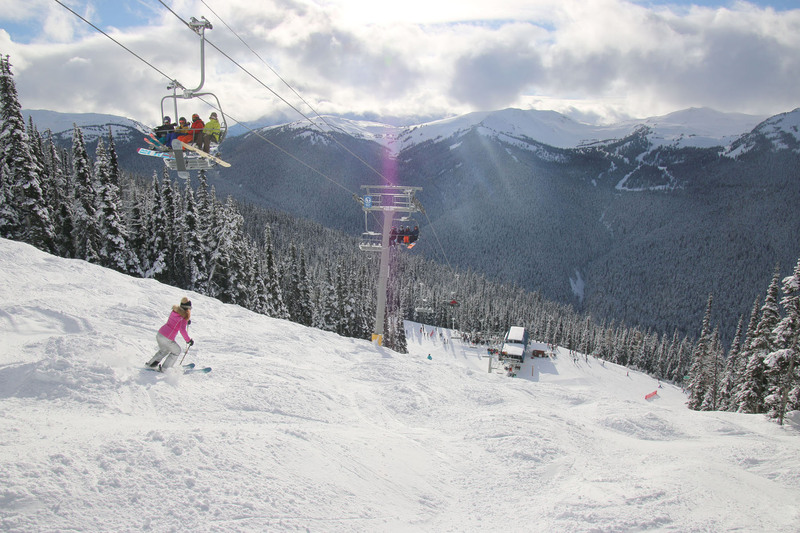 Both Whistler and Blackcomb have glacier skiing, bringing long seasons, big high alpine terrain, and awesome scenery. 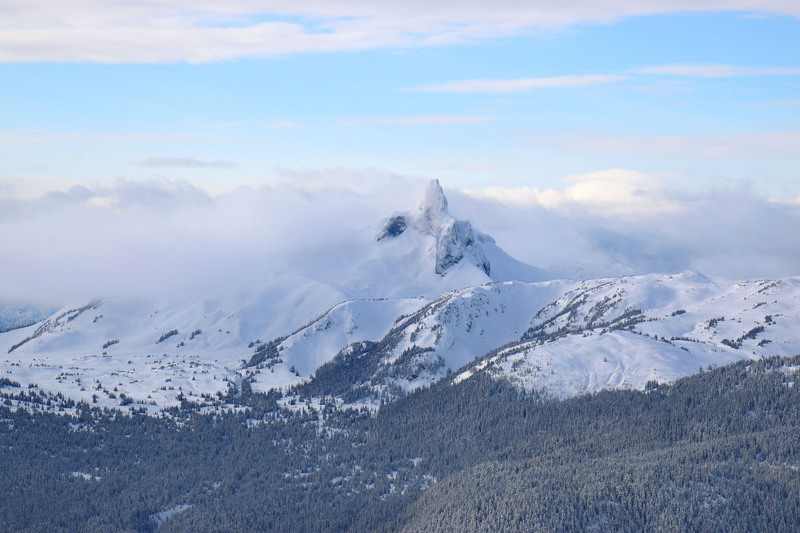 Three glaciers: count em, ski em if you can, Horstman, Blackcomb and Whistler glacier. 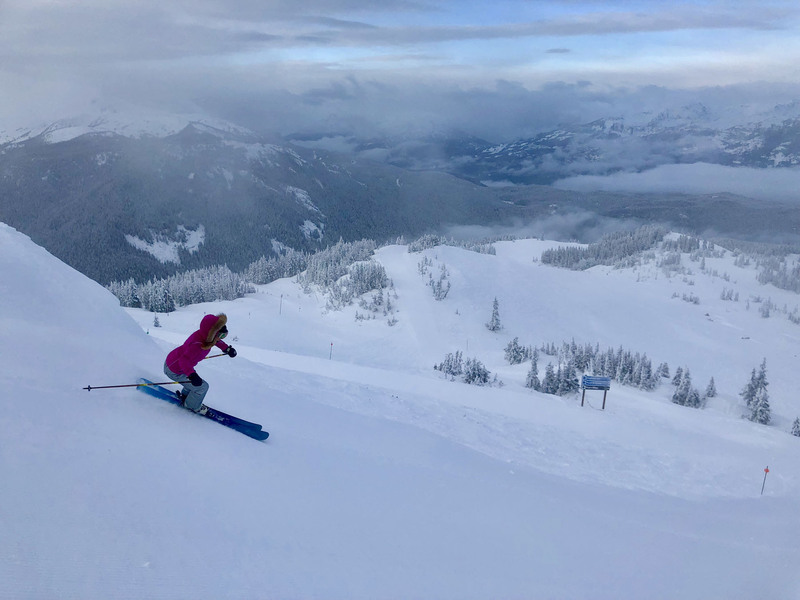 Intermediate skiers can indulge in big bowl skiing at Whistler’s Symphony Amphitheatre, with groomed runs amid the wide open above tree terrain. 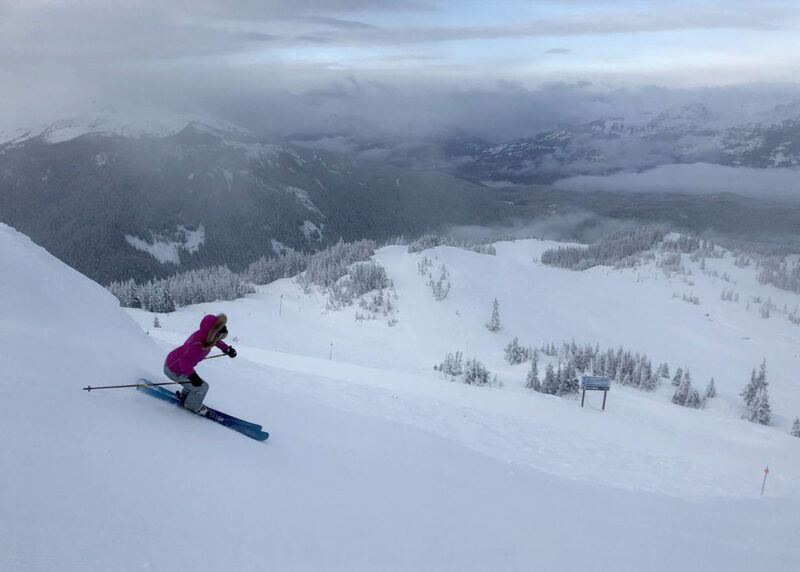 Its ego boosting and beautiful big mountain terrain skiing that’s served by a swift lift, super accessible with easier runs within reach, unlike say Jackson Hole or Big Sky with tricky terrain from their tram tops with no intermediate ski way down. 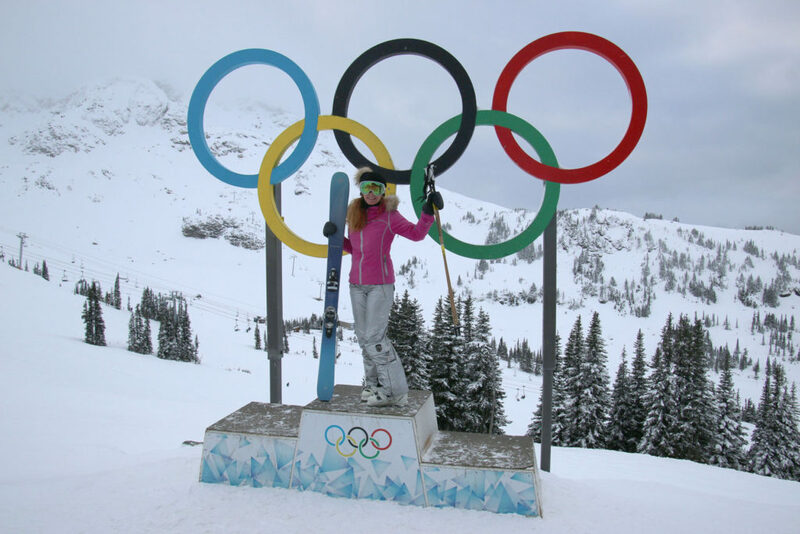 Dave Murray’s Downhill, where Lindsey Vonn won gold in the 2010 Winter Games is an amazing pitchy knolly fun run. 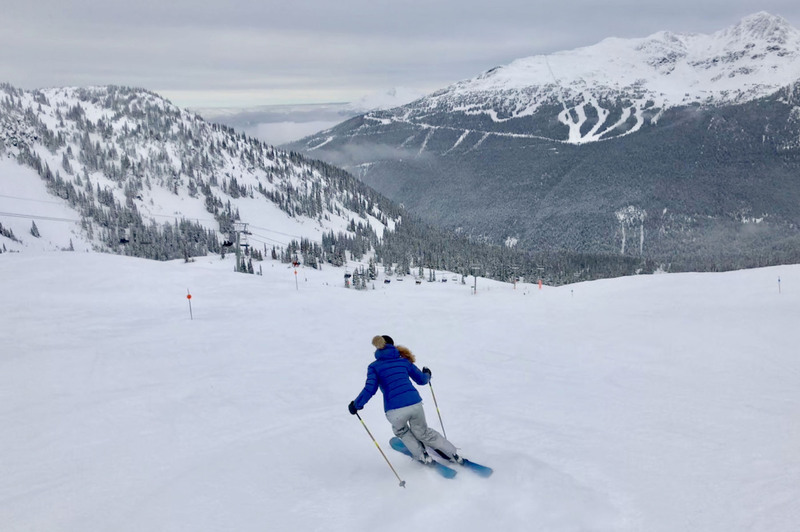 There are so many great trails on both mountains, and big terrain parks on Blackcomb for free skiers and riders to train for their next games. 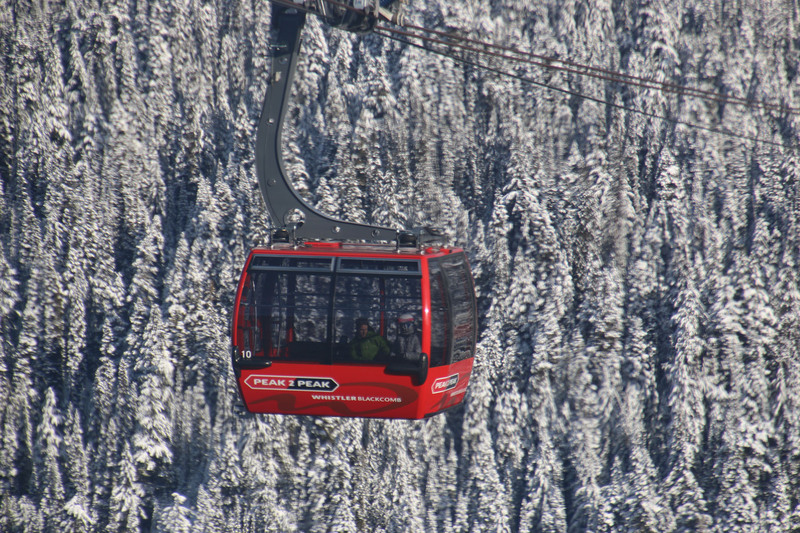 The lifts at Whistler are showcase, the Peak2 Peak Gondola is the longest single span lift in the world covering 2,75 miles. 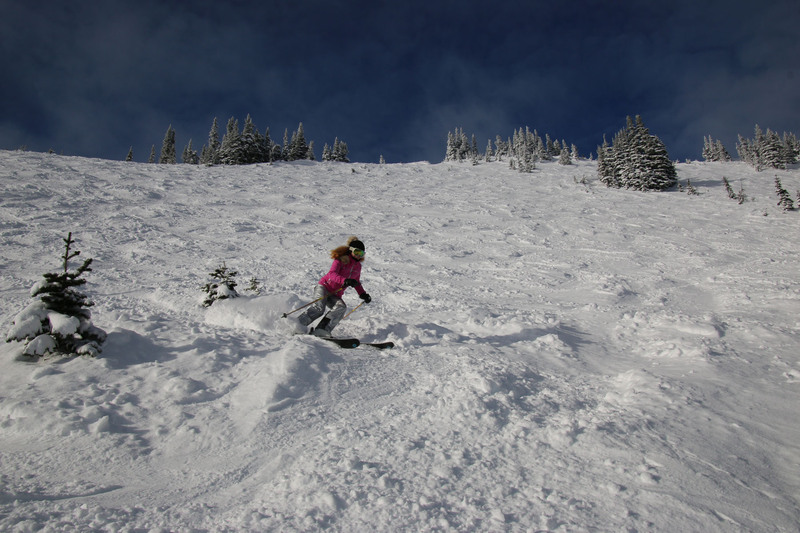 Every peak, pocket and bowl has high speed quads and six packs. You can ride gondola to gondola to gondola – which is extraordinarily unique, especially for non-skiers wanting to experience the high alpine and haute cuisine with their skiing families. 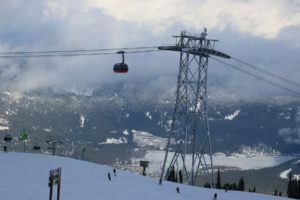 More to come, Whistler Blackcomb spent $66 million on new lifts and a suspension bridge cantilevered lookout on Whistler Peak for 2019, the likes of which you only see constructed in Europe and beyond… marvelous engineering. Whistler and Blackcomb have 17 fantastic on mountain dining spots. 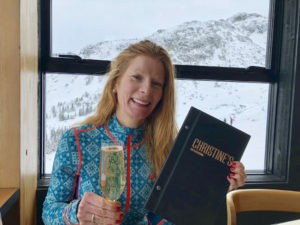 Our favorite is Christine’s at Rendezvous Lodge on Blackcomb. The culinary offerings are out of this world, from ahi tuna, to fancy fried chicken, all served with a view! 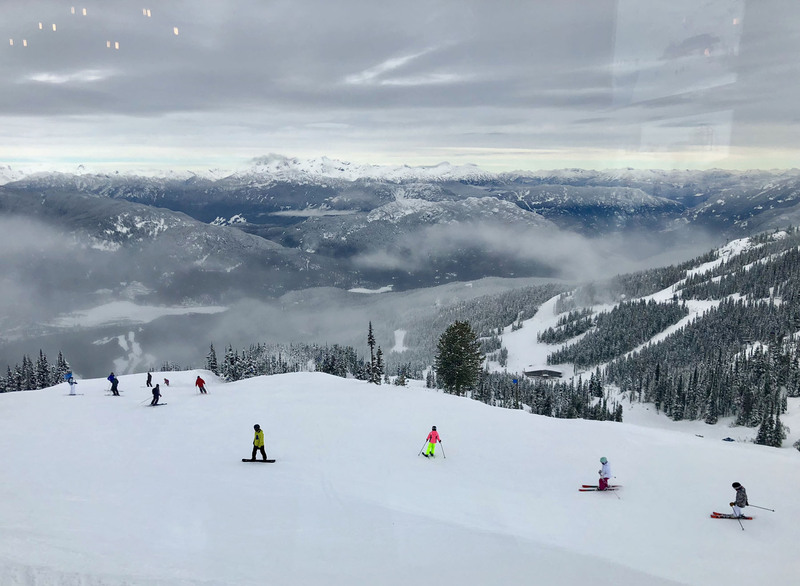 Steeps at Whistler’s Round House is another culinary gem, and the Umbrella Bar located outside has a panorama and patio to die for on a sunny day, with heat lamps on the not so (read: Pac North West) perfect days. Whistler Village is big, beautifully designed and fun even if you’re not a skier! With a heated pedestrian plaza you can walk to everything, shops, dining, hotels. 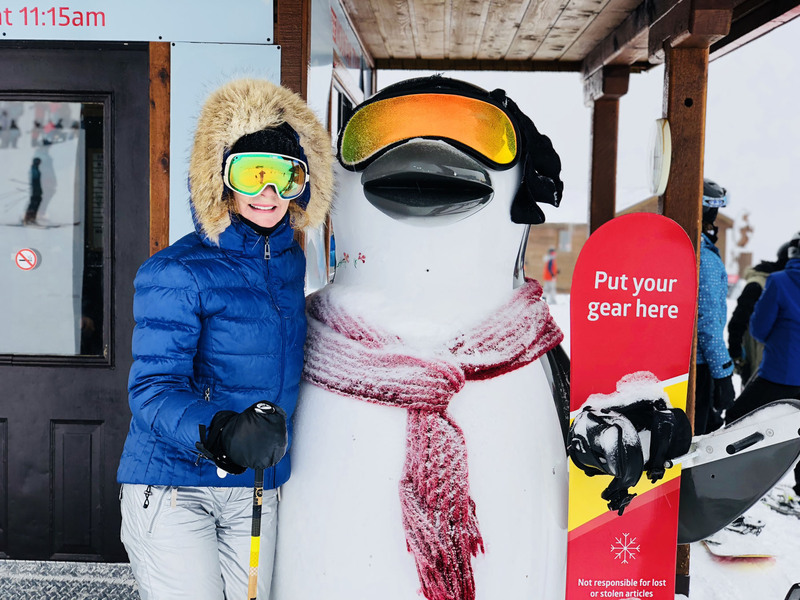 There are over 200 restaurants and après ski bars. Go to Sushi Village for authentic and fresh food. Basalt wine bar is cool. 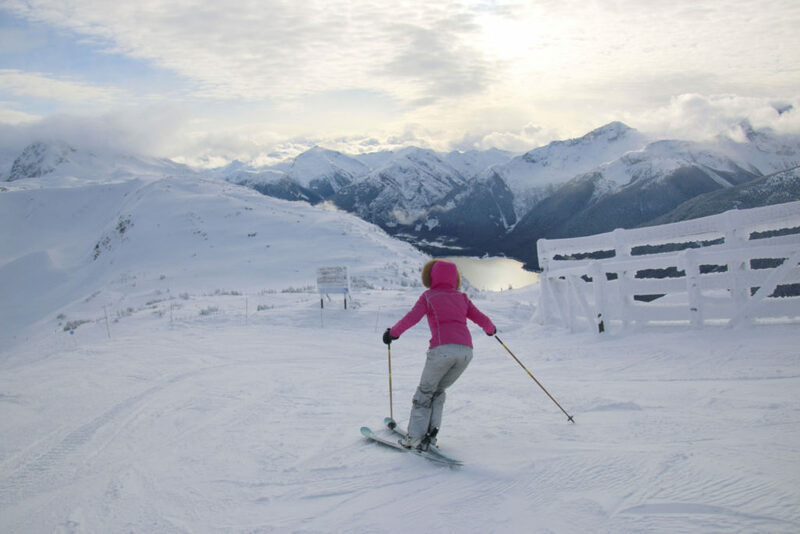 For lodging, Whistler has tons of condos, and top brand hotels from Whistler’s Chateau Fairmont, Four Seasons, Pan Pacific, Westin and Hilton – all 4 and 5-star posh ski properties with ski concierge, and spas. 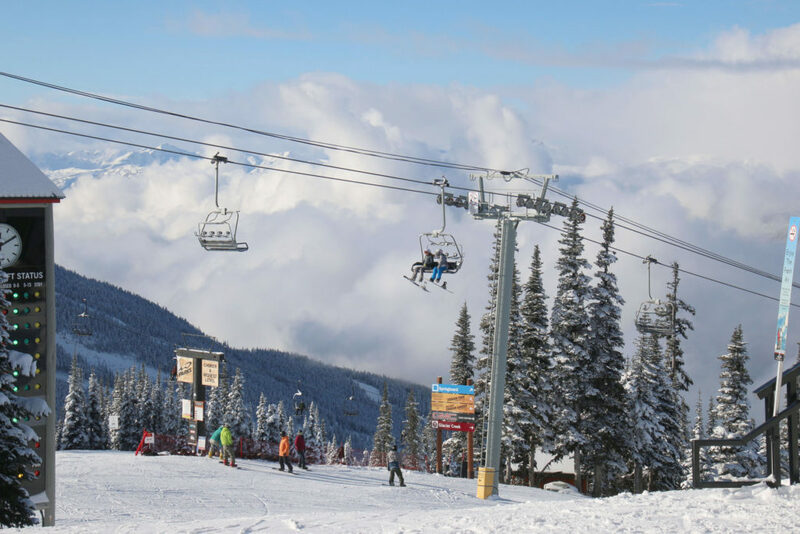 Whistler is a party town, starting at après ski at Garibaldi Lift Co, convenient as you download the gondi or click out of your bindings. Longhorn, Merlin’s, Black’s Pub and Brandy’s at the Keg are all classic après ski spots for beer and bonding or bragging about your ski day. 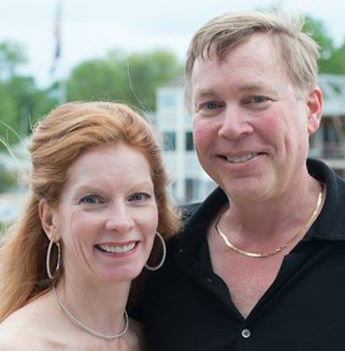 Firepits, furry blankets, shot skis and music are brimming about the village. 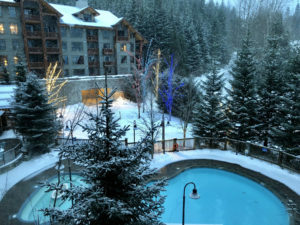 And Whistler rocks at night too, especially during events the nightlife scene is off the hook, as seen the Bravo TV Après Ski series filmed here. 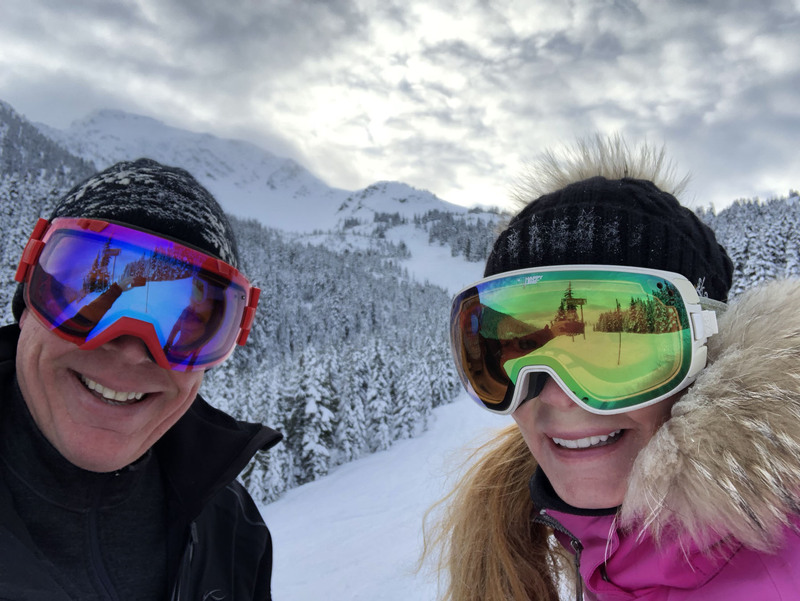 Seems these night owls don’t ski – which is fine by me. 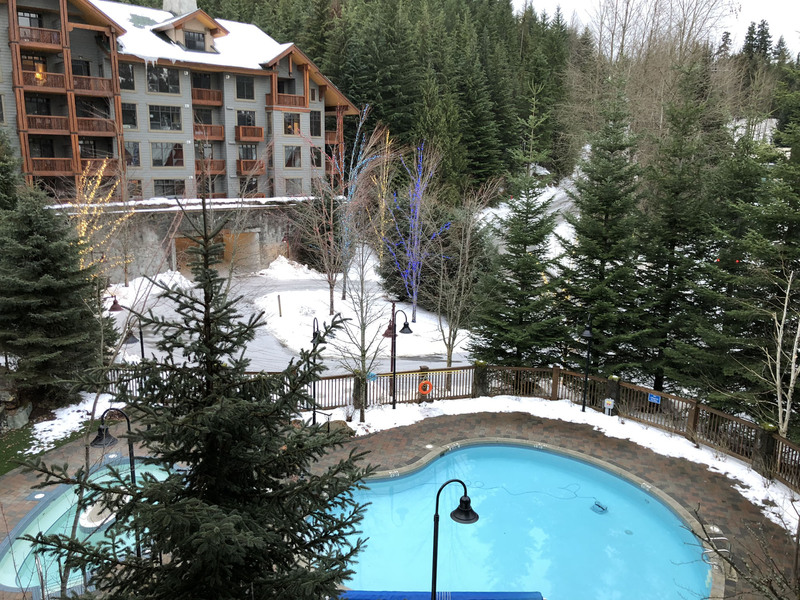 Whistler Creekside is the quieter side of the bustling Whistler village. 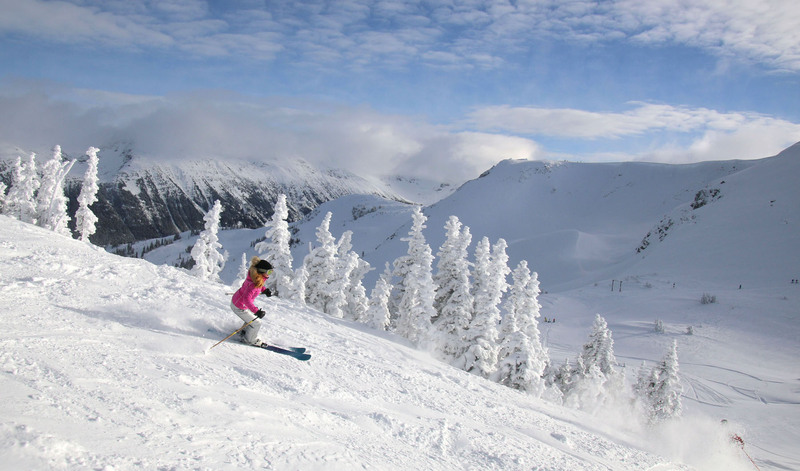 Creekside is also the original ski village, where it all began before Intrawest. 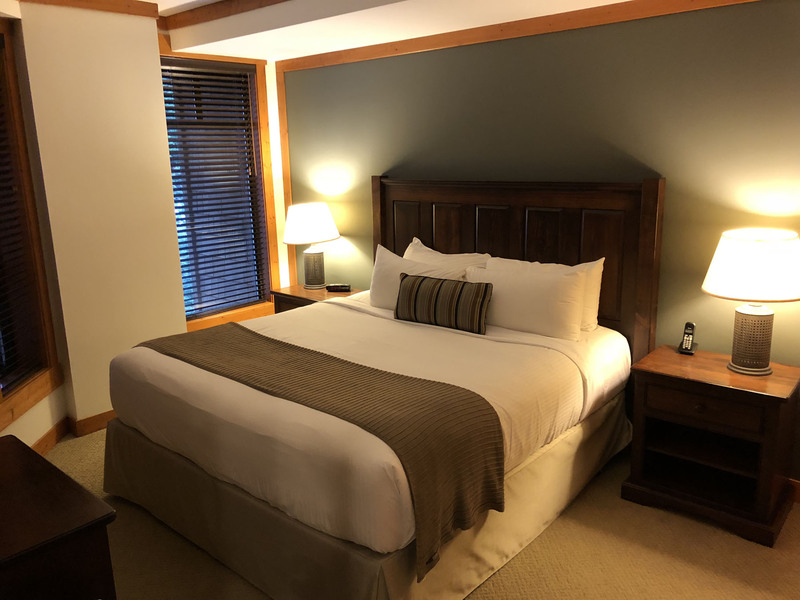 Staying here you have everything you need, in a pretty cozy pedestrian village without the hustle of the sprawling Whistler Village. 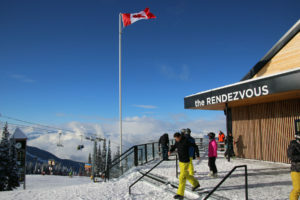 From First Tracks Lodge you are steps to the gondola as the name indicates, and you can stumble to Dusty’s Bar for après ski and pub fare, and a stroll across the covered bridge to Starbucks, a grocery market, liquor store, for provisioning, ski shops and Whistler kids child care, a pizza joint. 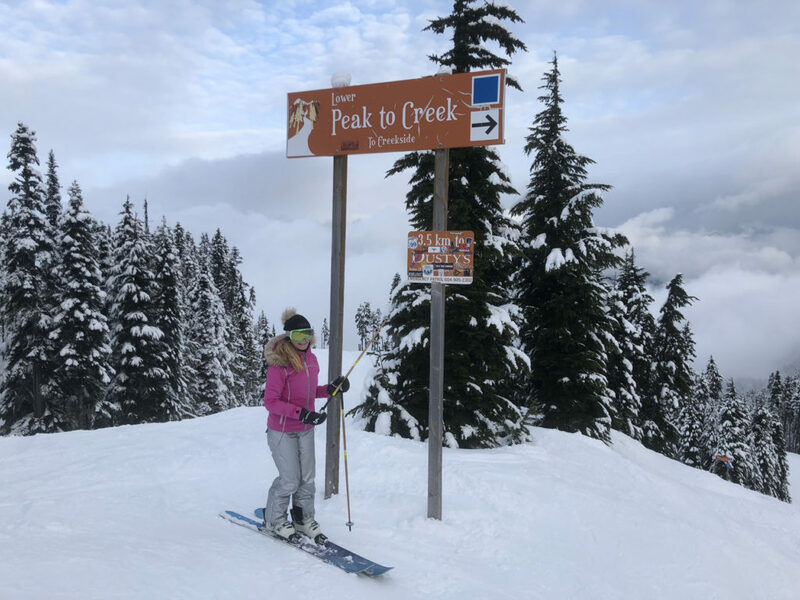 For a Whistler Blackcomb family ski vacation, this would be ideal, with condo suite lodging with full kitchens, and an outdoor pool and hot tubs. 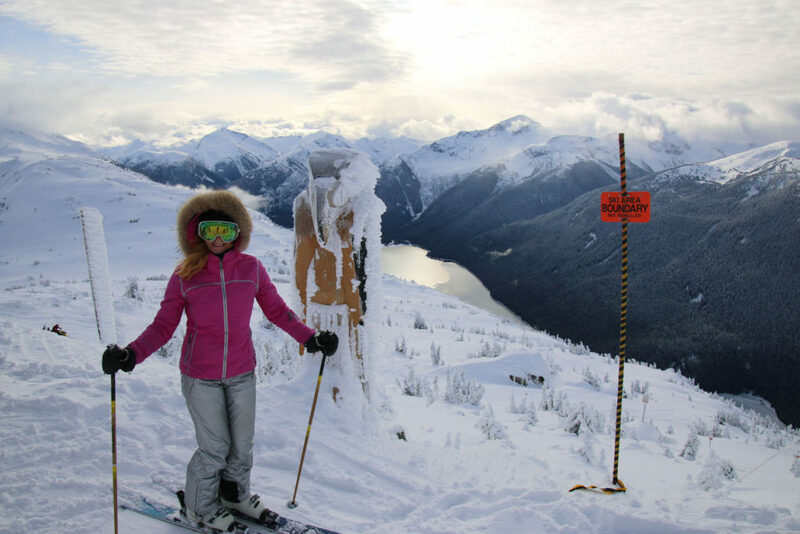 Nita Lake Lodge is a short walk from Creekside village with a spectacular location. 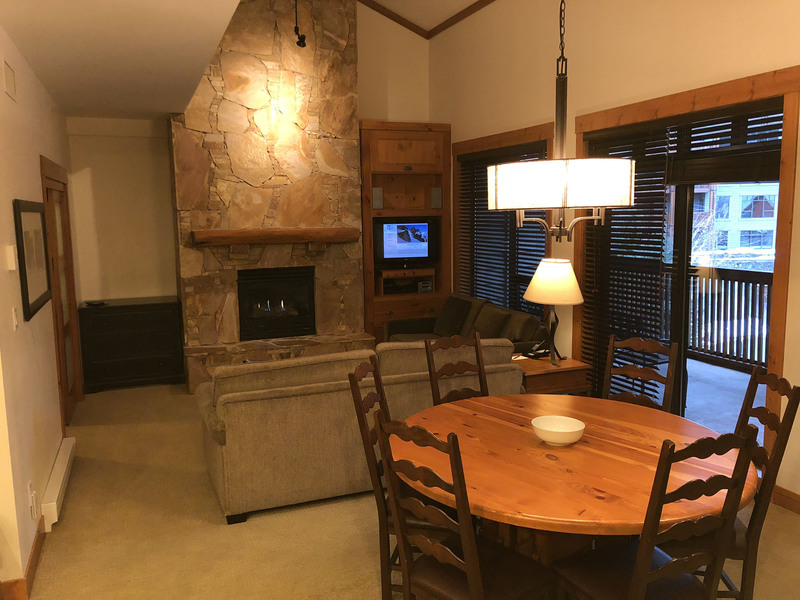 All the suites face the lake, and the beautiful lobby and common areas are grand lodge style, reminiscent of the old style camps, only upscale. 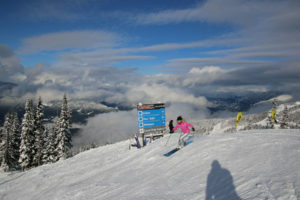 Nita Lake Lodge is posh but approachable, comfortable but with top clientele, setting and service. I love the cozy bar, Cure Lounge is just the cure for après ski, with fireplace and couches – reminds me of après ski lounges my parents would take us to in the good old days with snacks for the kids, cocktails for the parents and a fun menu from burgers and fries to poutine. For more upscale mod cuisine, next door is Aura – a sleek utilitarian open-concept kitchen restaurant. Brightly light, it’s all about the food on stage here and it is extraordinary. 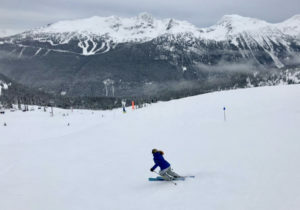 Whistler Blackcomb is now part of Vail Resorts collection – you can buy a season pass to Whistler Blackcomb for about $800 that’s also valid at 16+ other ski resorts. 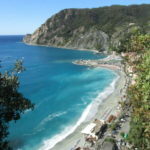 That’s extraordinary, or Epic at the very least!